50102-CZ is rated 4.7 out of 5 by 23. Rated 5 out of 5 by perndaddy21 from So far so great I put a couple of these on my side of the shower in addition to the overhead "normal" sprayer. I love them. There is a limited range on rotation, but I can aim as I need. really a nice addition to any shower. Rated 5 out of 5 by TK from Nice addition to a shower! Rated 5 out of 5 by Kings Handyman from GreatBody Spray Easy to install and easy to adjust. These work great. Rated 5 out of 5 by Lee from Good quality High quality materials, and smooth adjustment motion make this body spray a nice addition to my new luxury custom shower! The individual water streams are a bit narrower than I expected, but they still provide a nice massaging spray that provides the desired affect. Rated 5 out of 5 by Bailey Anne from Great product I like the color and craftsmanship of the Delta body sprays. They look sleek and expensive. Good quality. 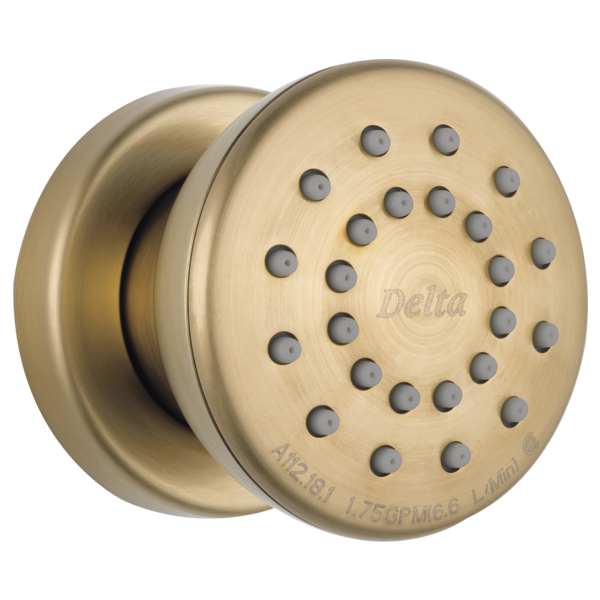 Rated 5 out of 5 by Biffmar4 from As Promised I have a few other reviews of my Delta fixtures in my Master Bath and this was the perfect complement to our rain head and hand shower. 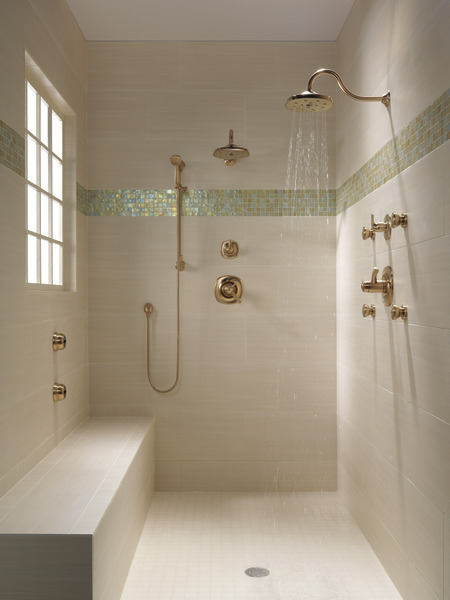 Not only did it only cost a little extra to add, but it changes the dynamics and curb appeal of our shower for resale purposes. 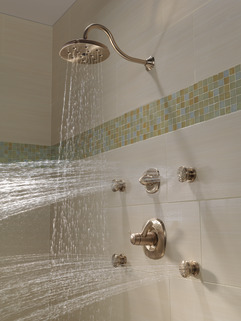 With a rain head, its a nice shower. With the jets, it's now a spa. We are runners and athletes and we love the spray from these nozzles. Not too hard, not too soft and not a single laser coming out of the wall to one area. Helps soothe and relax which was our primary purpose and we are enjoying them. 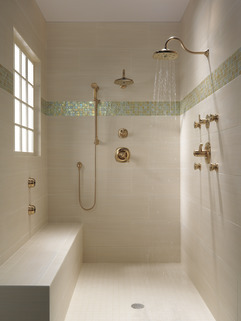 Rated 5 out of 5 by rgp from Love it Installed this in new home .Good preasure very relaxing helps with back. What handle goes with the 50102-RB to turn on and off? Can you tilt these in different directions? is this surface mounted body spray 1/2&quot; female ips? What other components need to be purchased to install this unit new? the body spray model 50102/SS how do you turn it on and off?